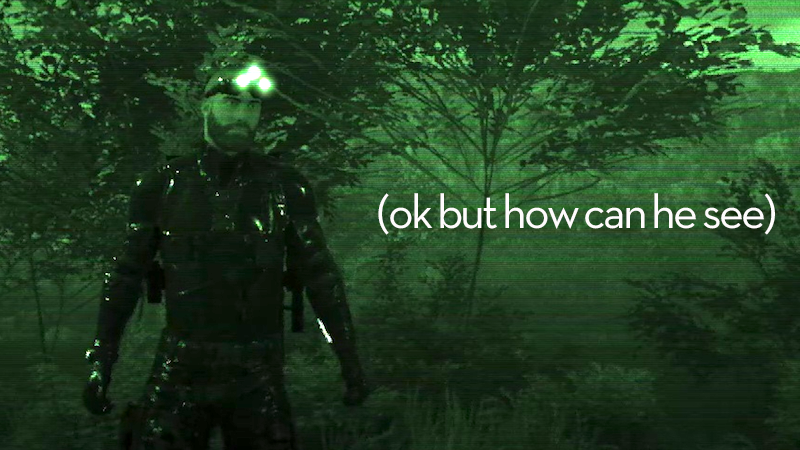 Last night I decided to purchase a custom Splinter Cell outfit for Ghost Recon: Wildlands. I mostly bought it because of the cool night vision goggles. 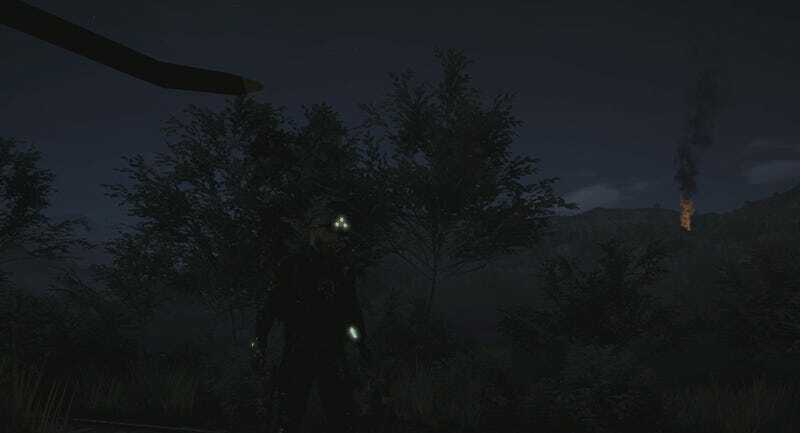 As you make your way through Wildlands’ Bolivian countryside, you can choose to switch on night vision. Of course you can; it’s a Tom Clancy game. With the press of a button, everything goes green and you can see in the dark. However, your character won’t actually put on night vision goggles. They’re not even wearing night vision goggles in the first place. Their eyes will remain uncovered, even as the world becomes green-tinted. It may seem like an oversight in a game as gear-obsessed as this one, but the developers have evidently decided not to mess up your personalized outfit and headgear by dropping some chunky goggles over your face. Fair enough. In the in-game store, you can buy a whole bunch of stuff to customize or improve your character. You can unlock all the guns in the game, if you want, or buy a booster to level your character up faster. You can also buy any of a few custom outfits based on other Ubisoft games. You can get 1,700 store points for $9.99, and the outfits generally cost 1,000 or more points. I already had a couple thousand points in my account, for whatever reason. I don’t know why my guy’s eyes are closed. I only had enough points in my account to buy one outfit, so I went for the Splinter Cell one. It didn’t quite match Wildlands’s rustic murder-lumberjack aesthetic, but I wanted to see if the goggles would actually go down over my dude’s eyes when I turned them on. WHAT. The guy is literally wearing night vision goggles and he still doesn’t put them on?? Everyone knows that when you put on Splinter Cell goggles, they’re supposed to drop over your face so that you look like an awesome cyber ninja. I’m just saying. 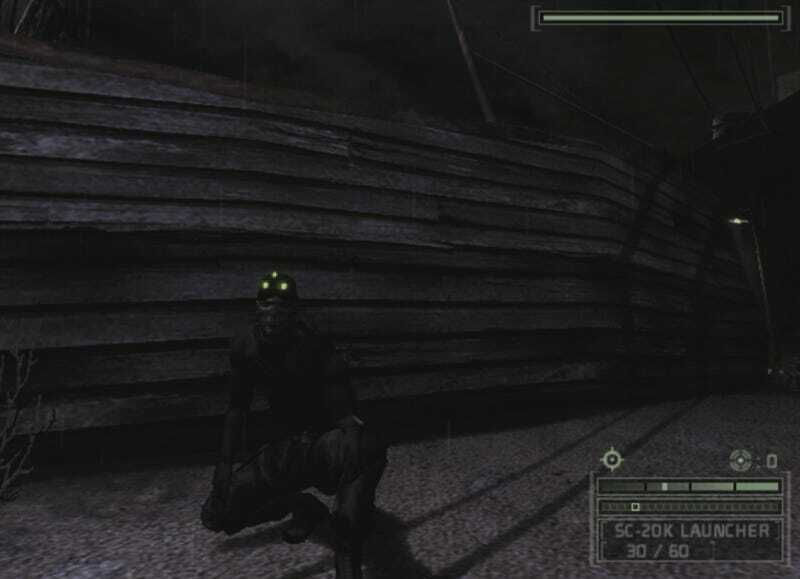 They don’t need to do a whole new animation just for this one outfit, but Sam Fisher’s night vision goggles should go onto your face when you turn them on, even if you aren’t Sam Fisher. In other news, I’m having a pretty good time with this game. It may shock you to hear this, but it becomes a hell of a lot more fun if you crank up the difficulty and turn most of the HUD assists off. Anyone else out there still playing?